Well-ironed clothes manifest a clean and well-groomed person. Especially if you are already a professional, it is essential that you pay particular attention to how your clothes look—regardless if it’s branded or not. For today, we are going to take a look at the top 10 best ironing cabinets available in the market. The following are the most durable, stylish, and affordable ironing cabinets that every homeowner would love to have. First on the list is the Rev-A-Shelf vanity pullout ironing board in rich gray color. The package includes a fold-out ironing board, cover, and all mounting hardware that you are going to need. It features a 150-pound full-extension ball-bearing slide system. This pullout ironing board can fit most standard front doors thanks to its fixed bracket. Installation is a breeze. You don’t need to be an expert to install the product. In just a few minutes, this ironing cabinet is ready to use. Furthermore, you can adjust the width of the pullout board for optimal convenience. Its chrome finish makes it elegant and fits most contemporary-styled houses. In using the ironing cabinet, all you need to do is open until the gravity lock engages in unfolding the board. With proper use and maintenance, rest assured that this ironing board can serve your household for many years to come. Check out the Organizedlife white wall mount ironing board center cabinet with mirror and storage shelves. Thanks to its wall mount design, this ironing board can fit most contemporary-styled houses. It’s also suitable for homeowners who have limited space in their homes. When not in use, you can fold the cabinet to save space. The package includes our wooden storage shelves, dressing mirror, and two hooks that allow you to hang some of your clothes. All mounting hardware is also included in the package as well as its pad and cover. Its compact design and abovementioned features at an affordable price! If you liked the previous product with its elegant white design, you should also check out the Miles Kimball Deluxe ironing board storage cabinet is perfect for homeowners who have small spaces. 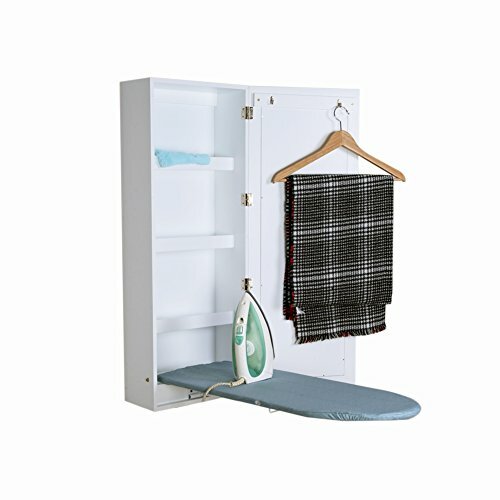 Its compact and fold-out ironing board can be stored easily for optimal and convenient storage. You can use it whenever you want thanks to its quick-use system. It also provides extra storage for laundry rooms with an integrated storage shelf and cabinet. This ironing board delivers folding station that allows you to fold, sort, iron, and ready your clothes for laundry all in one place. 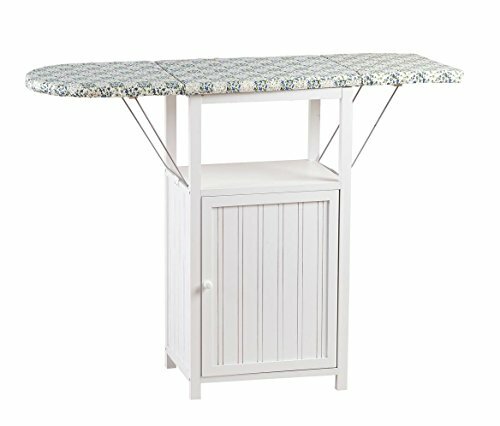 You can also use this ironing board is your perfect sewing companion, space-saving solutions for your apartment or house. Thanks to its solid wood construction and full fold-our ironing board, rest assured that this product can serve your household for many years to come. Check out the Sullivans Ironing Center. This ironing board features a durable fiberboard with fully laminated surfaces. The fold-down ends allow you to save space when you are not using the ironing board. The package includes a fitted and padded protective cover for optimal usage. The ironing board is covered in a white laminate with black trim. Inside the double-door cabinet, there are two shelves that you can use for storage. 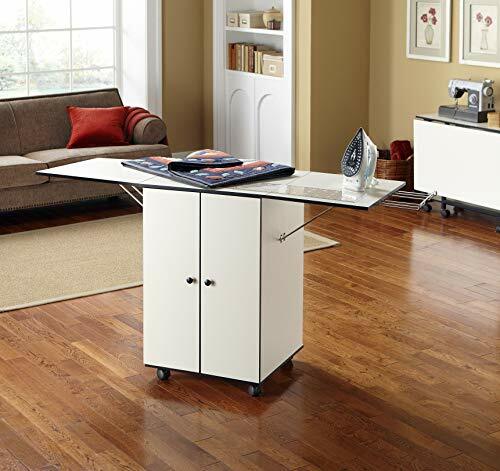 The center sits on rolling casters, allowing you to move the ironing board from one place to another. It has a retractable metal iron caddy. This ironing board is ideal for homeowners who have limited space in their houses. This sleek-looking integrated ironing board cabinet from USAFlagCases is made of solid raw wood that offers extra iron storage. You can hide and stow it away when not in use thanks to its foldaway routed door. This product is made in the USA of birch plywood with three shelves and MDF door. The package includes mounting hardware, pad, and cover included. What we like the most about this product is that it does not require any assembly at all. It’s unfinished, allowing you to custom match it to your existing decorations with paint and trim. This space-saving ironing board can be mounted on a wall, or almost anywhere you want. 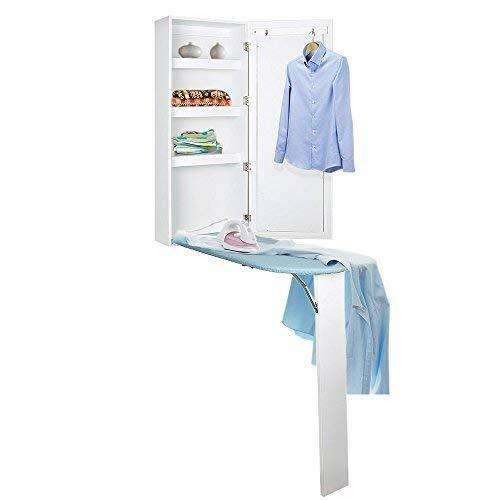 The Southern Enterprises Wall Mount ironing board center with storage and wall mirror in sleek white color is one of the best-selling ironing boards in the market. This ironing board easily folds out and backs away for optimal convenience. There are two hooks on the back side of the door that allows you to hang some clothes and garments. This ironing board is finished in an off-white finish and accented by brass hardware for a sleek look. Rest assured that it will look great in any modern houses. Minor assembly is required upon arrival of the product. The ironing board is made of 3mm mirror and MDF. The mirror weighs only 42 pounds and is 16 inches wide. You can mount this ironing board on a wall to save some space. 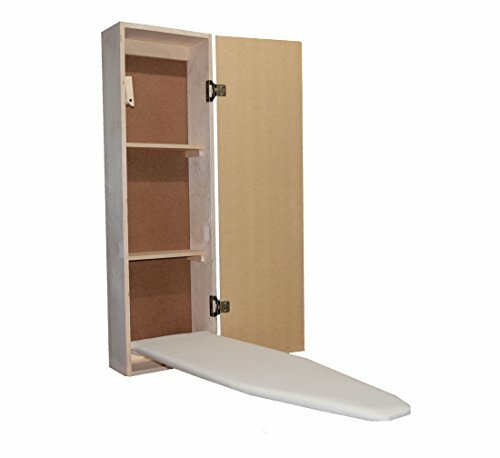 We also have the Facilehome ironing board cabinet wall mounted storage cabinet foldable with a mirror in white color. 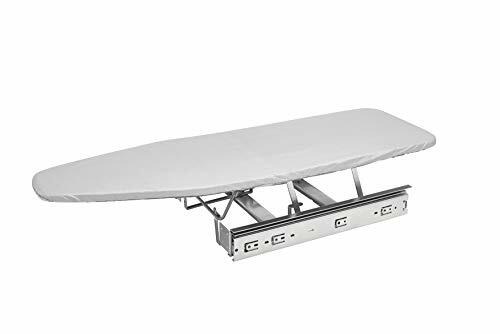 This ironing board is hanging against the wall, and the height would depend upon your preference because support legs are no longer required for this product. When the cabinet is not in use, you can fold it up to save space in the long run. 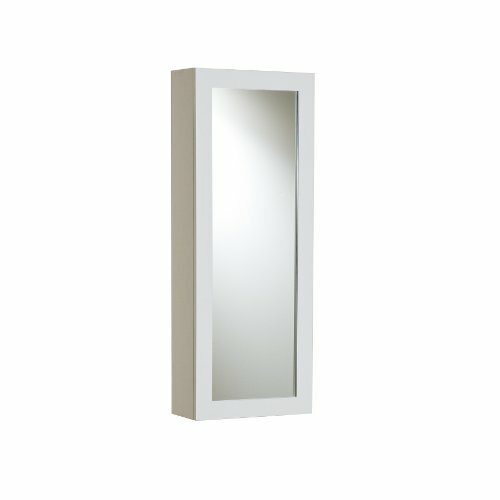 It also features a dressing mirror that adds decoration to your home or for your makeup purposes. Compared to other ironing cabinets, this ironing board features a triangle bracket design that provides excellent stability in the long run. It also helps in releasing your space, allowing you to adjust the height by yourself. Upon arrival of the product, it’s ready to use for there is no assembly required. All you need to do is hand it on the wall, and it’s ready to use. 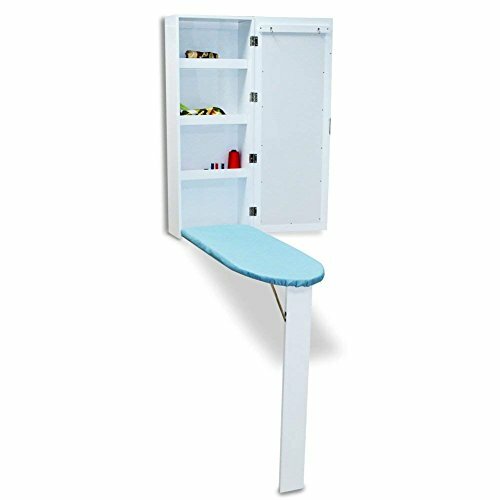 We also have the Kugoplay ironing board cabinet wall mounted with integrated ironing board storage cabinet foldable and a mirror. The wall ironing board cabinet is made of MDF material and environmental protection paint. The cover is made of nylon for superior durability. This ironing board is designed to save space in the long run, an ideal solution for both office and home use. You can fold it up when not in use. This multifunctional of this ironing board has three parts—the ironing station, the cabinet, and the mirror. The locking latch on the ironing center has two hooks for hanging clothes and other items. Two fixed shelves are designed for added storage. When you fold it up, it can serve as your dressing mirror. Installation is a breeze. Minor assembly is required, and the package comes with instructions for hassle-free operation. 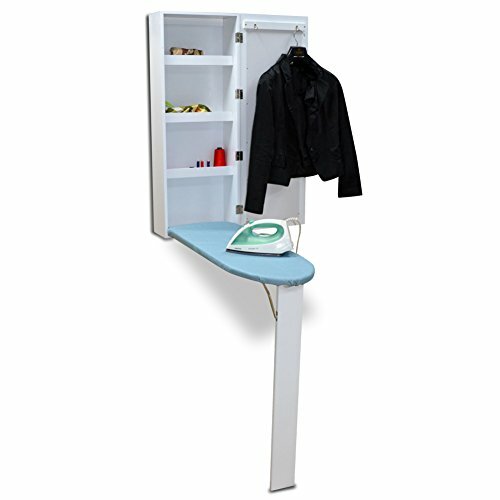 For our last product, we have the office winner wall mount ironing board cabinet with mirror and storage shelves. Thanks to its wall mount design, it provides ample room for storage. You can fold the legs and back it away to save some space when not in use. This ironing board turns into a dressing board for your daily life mirror essentials. There are two hanging hooks mounted on the back side of the door, allowing you to hang some of your clothes on it. The ironing board is made of MDF material wood. Its birch plywood is used for the frame plus its four wooden storage shelves. Rest assured that this product is durable and will not wobble. Installation is quick and easy. There is no assembly required. The package includes the instructions and all mounting hardware that you’re going to need in the process.